You don’t have to save this for a cold winter’s night. 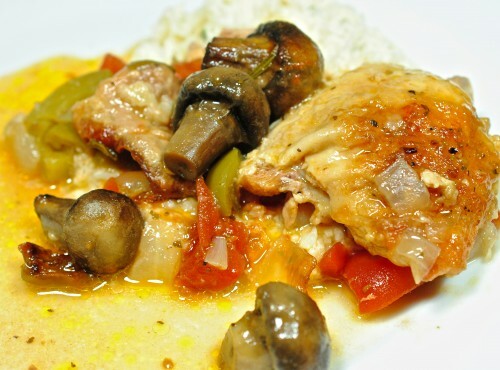 This was one of the first classic Italian dishes I use to cook as a newlywed and that’s been over 45 years ago. 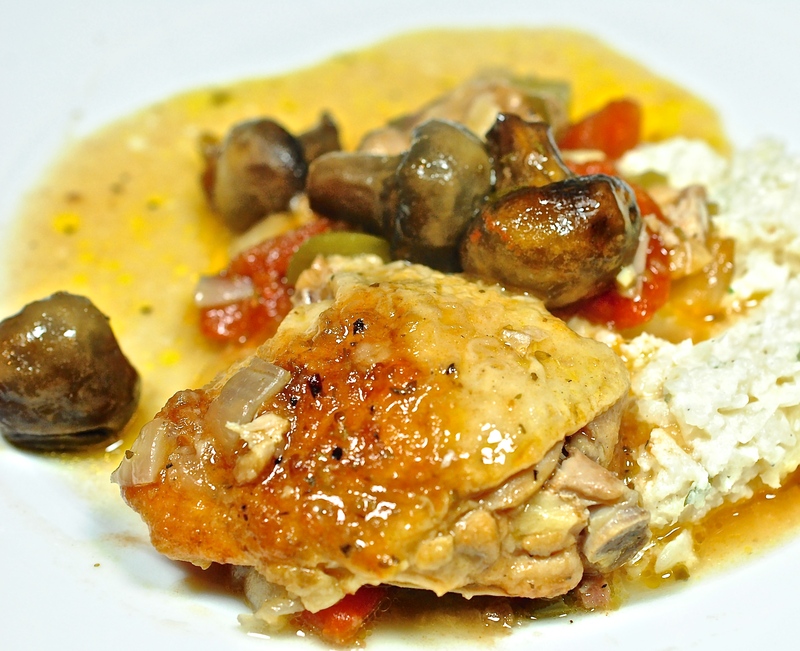 The recipe I originally used came from my Betty Crocker Cook Book For Two and I use to serve it over some type of pasta. The other night when I made this for friends I did a whipped cauliflower dish that had some cream cheese, butter, parsnips and Parmesan cheese all mixed up to a delicious goodness. Normally, I think of chicken cacciatore as a comforting winter dish but it IS Fall so why not cook something that fits the season. Here in Texas I can’t wait for a breathtaking cold day to make a dish like this because it may never come. When I think of comfort food I think of dishes like this that are slow braised and cooks leisurely in my purple Le Crueset Dutch oven. I decided to do some of the initial cooking on the stove top but wanted to finish it off slowly in the oven so the house fills with Italian aromas so good you think some Italian grandmother was standing right beside you making the dish telling you to add a pinch of this or that; and the biggest reason for finishing in the oven was I wanted to get my stovetop cleaned back up before company arrived. 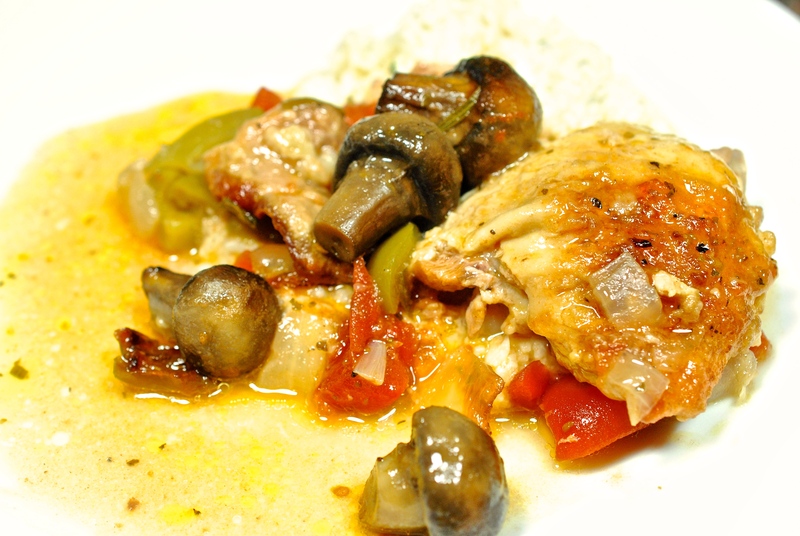 The mushrooms in this dish are a new addition and I chose to use bone-in chicken thighs where I use to buy a whole cut-up chicken. 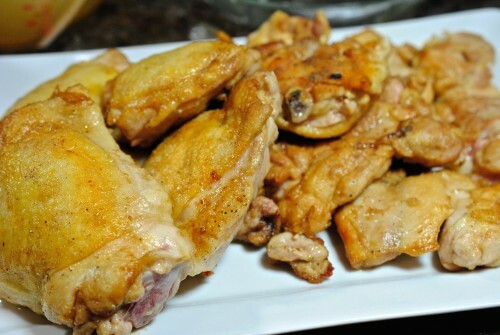 I used half boneless thighs because of a friend who hates bones in anything even though I keep trying to convince him that anything cooked on a bone will have more flavor. So his thighs benefited from the bone-in thighs that cooked right along with all those boneless pieces of meat. The rest of my meal consisted of my mashed cauliflower dish, Stephanie’s Magic Beans, and my Baby Blue Salad I posted a few days ago. 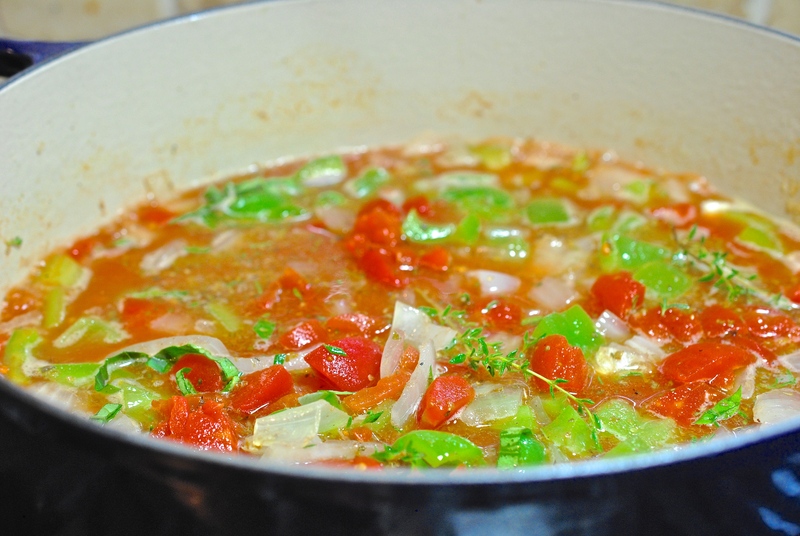 BLAST FROM THE PAST: Now that Fall is here you may be looking for some belly warming soup. Here’s a recipe for Roasted Parsnip Bisque with Crispy Pork Belly that you should give a try. Any kind of white wine will do. I just happened to have a bottle of Naia on hand and knew I would be drinking the leftovers. 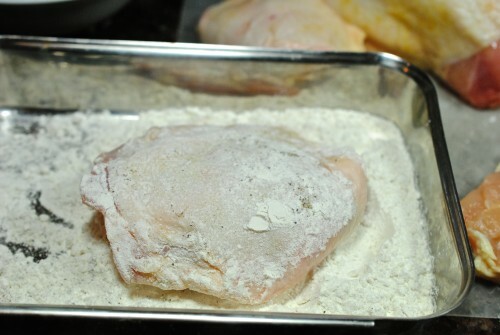 Dust the chicken pieces lightly with flour. Brown until golden on both sides and remove to platter. Set chicken aside until later. After removing chicken, add in the bell peppers and onions and sauté 5-6 minutes. Add in the garlic then the tomatoes, wine and broth. I picked some fresh basil, thyme and rosemary from my herb garden. 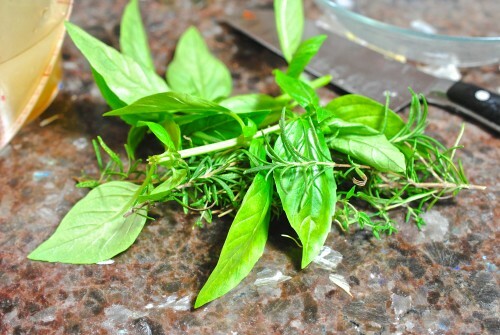 If you don’t have these growing, just add the 2 teaspoons of Italian seasoning. Add in the browned chicken pieces. 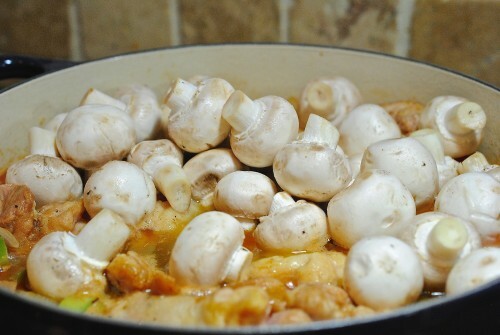 Add in the mushrooms, cover and simmer for about 45 minutes on the stove top or put in 350° oven for about an hour. Serve on mashed potatoes, some type of pasta or whipped cauliflower. Dust the chicken with the flour just to barely coat both sides. Set aside. Heat the oil in a Dutch oven or skillet or some type of pan with a lid. 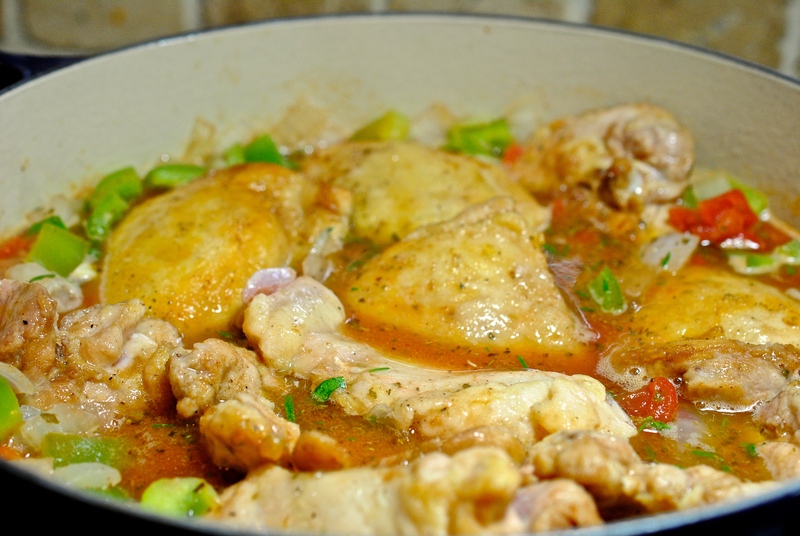 Add the chicken pieces to the pan and brown both sides just until golden in color. Do not crowd pan; you may have to brown the chicken in two batches. 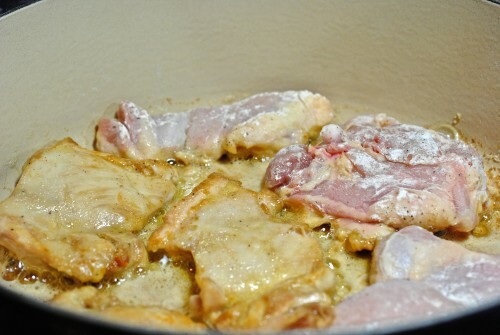 After browning, remove the chicken to a platter. 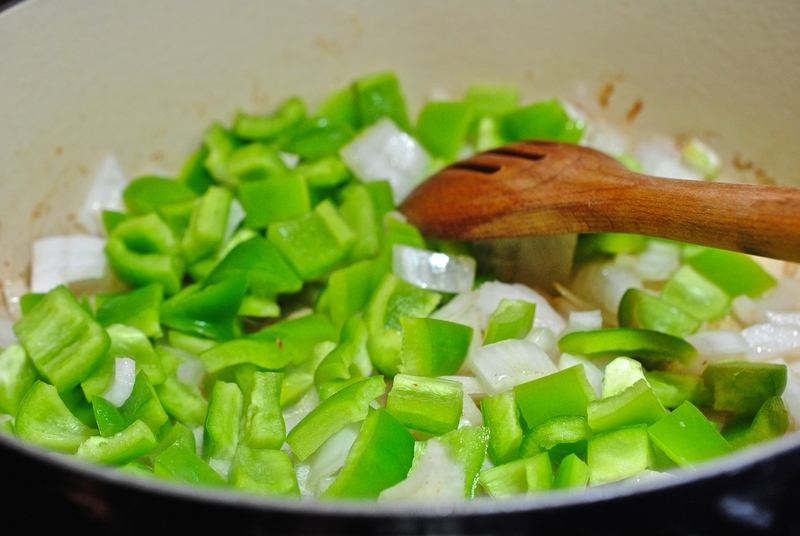 Add the onions and green peppers to the pan and sauté for about 5-6 minutes until they start to brown. Now stir add in the garlic an mushrooms and sauté for about 2-3 minutes. 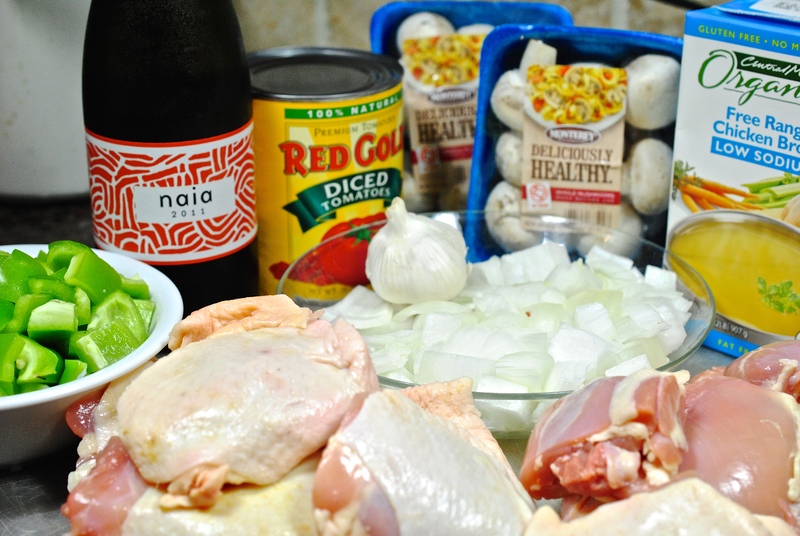 Add in the tomatoes, white wine and chicken broth. Cover and cook about 45 minutes or until chicken is fall off the bone tender. *Note — after cooking on the stove top until the liquid gets up to a simmer, I moved mine to a 350° oven and finished cooking.